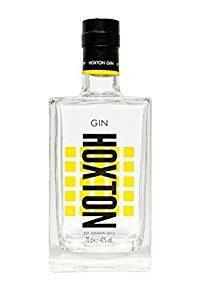 Hoxton Gin is a serious, but also a fun gin and very different from the rest – a gin that takes the classic juniper driven character and adds something most exotic. In making an exceptionally smooth and rounded gin, both coconut and grapefruit are a key constituent of the distilling process, thus opening up gin to a whole new world of drinking and cocktail possibilities. Hoxton Gin is a world’s first. Not only is it versatile with the head notes of grapefruit and coconut introducing bright new avenues of what gin can be mixed with. Nor does it merely reinvigorate classic cocktails and combinations such as the Tom Collins and G&T with a stunning contemporary twist. The real brilliance lies in the fact that unlike other gins, you can drink it on its own! It’s so refreshing all you need is ice and a slice of lemon! A spirit so fine, there’s no need to dress it up.